The reported plan would signal a significant change from U.S. border policy. After the White House declined on Saturday to deny a new report saying that President Donald Trump’s administration had reached a deal with Mexico that would require asylum-seeking migrants to wait there while their claims are decided by U.S. courts, Mexican officials denied it themselves. “There is no agreement of any sort between the incoming Mexican government and the U.S. government," future Interior Minister Olga Sanchez Cordero said in a statement reviewed by ABC News on Saturday. "The next federal administration does not consider in its plans that Mexico assumes the status of 'third safe country' for the attention of Central American migrants or citizens of other countries that are in Mexican territory, nor for those who have that intention in the future." Yet the same official was quoted earlier Saturday by The Washington Post as saying that the incoming administration of Andres Manuel Lopez Obrador had agreed to a plan that would allow migrants to stay in Mexico as a "short-term solution." If enacted, the plan, reportedly called “Remain in Mexico,” could reshape America’s border policies and end a longstanding policy that Trump has relentlessly decried as “catch and release,” in which asylum-seekers are allowed to remain free within U.S. borders while they await court decisions on their applications. The incoming Mexican administration, which takes office on Dec. 1, is facing extraordinary pressure to devise a plan to deal with thousands of Central Americans streaming through Mexico toward the southern U.S. border. Mexico's incoming foreign minister, Marcelo Ebrard, said officials there may meet as early as Sunday morning to address the growing crisis, according to The New York Times. Still, it remained unclear into Saturday night where exactly leaders of the two neighboring countries stand on the idea. 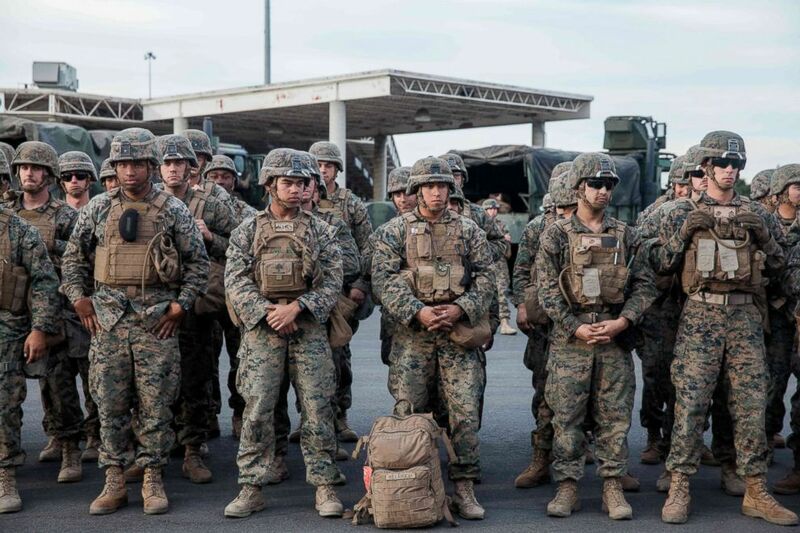 (Ariana Drehsler/AFP/Getty Images) U.S. Military stand in line for a drill near the Otay Mesa Port of Entry, Calif., on Nov. 15, 2018. For now, we have agreed to this policy of Remain in Mexico. The Washington Post report stressed that no formal agreement had yet been signed. “President Trump has developed a strong relationship with the incoming Obrador Administration, and we look forward to working with them on a wide range of issues,” White House Deputy Press Secretary Hogan Gidley told reporters, declining to elaborate further. 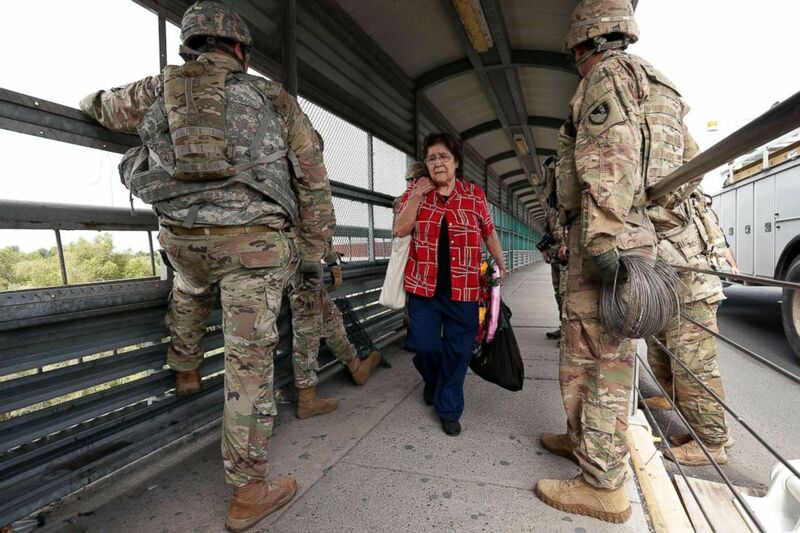 (Eric Gay/AP) Pedestrians pass members of the U.S.military working to place razor wire along the U.S.-Mexico border on the McAllen-Hidalgo International Bridge, Nov. 2, 2018, in McAllen, Texas. Nor did Trump, who renewed a previous threat in a series of Saturday night tweets, saying that migrants at the U.S. southern border "will not be allowed into the United States until their claims are individually approved in court." Trump went on to tweet that if "for any reason it becomes necessary, we will CLOSE" the southern border with Mexico. There is no agreement of any sort between the incoming Mexican government and the U.S. government. The conflicting reports come as Obrador and his new administration prepare to take office on Dec. 1, and caravans of Central Americans seeking sanctuary in the U.S. have begun arriving in border towns in northern Mexico. More than 5,000 Central American migrants have arrived in the Mexican border city of Tijuana, just south of California, where they are mostly camped out over the weekend inside a Tijuana sports complex, according to the AP. The crush of migrants prompted Tijuana’s mayor on Friday to declare a humanitarian crisis. Julieta Vences, the head of the Mexican government’s congressional migrant affairs commission and a member of Obrador’s political party, told the AP late Saturday that the country’s incoming foreign minister has been discussing how to handle an influx of migrants seeking asylum at the southern U.S. border. "They're going to have to open the borders [for the migrants] to put in the request," Vences said. "They will also give us dates, on what terms they will receive the [asylum] requests and in the case that they are not beneficiaries of this status, they will have to return here," Vences said.